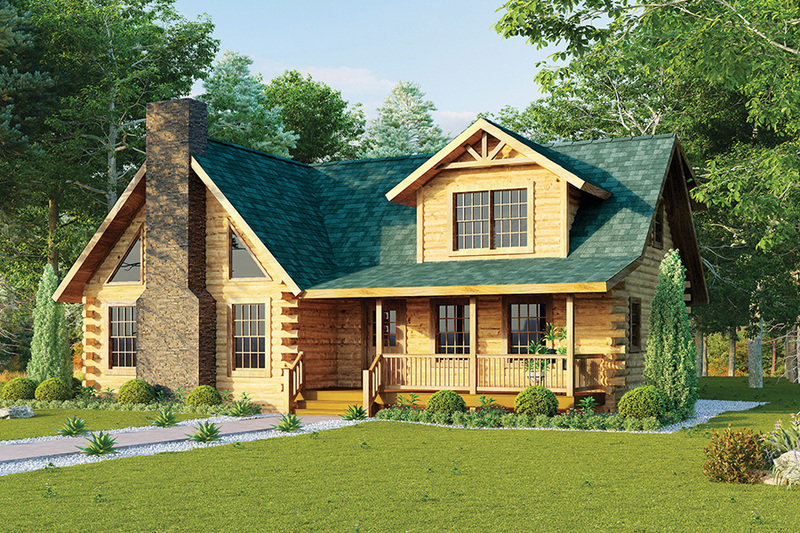 The Millwood is a unique blend of the contemporary with the timeless charm of the traditional log home. It features the entry opening to the popular open-concept great room with fireplace and exposed timbered ceiling, inviting front porch, and large rear deck. Plus, convenient contemporary touches like the kitchen with island and raised serving bar, first-floor laundry/mudroom, and walk-in closet off the bedroom. 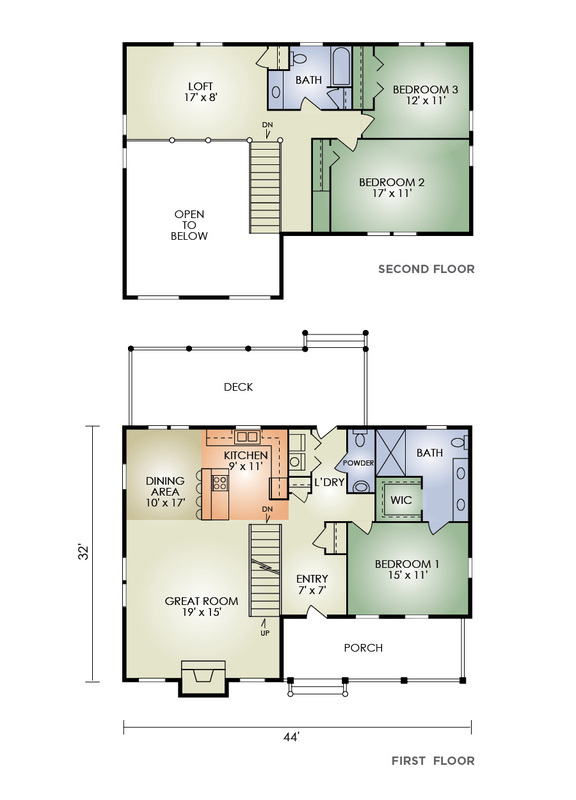 And, upstairs a large open loft offers an expansive view of the fireplace and great room below. You'll love the step-saving convenience and ambience of this dream home.